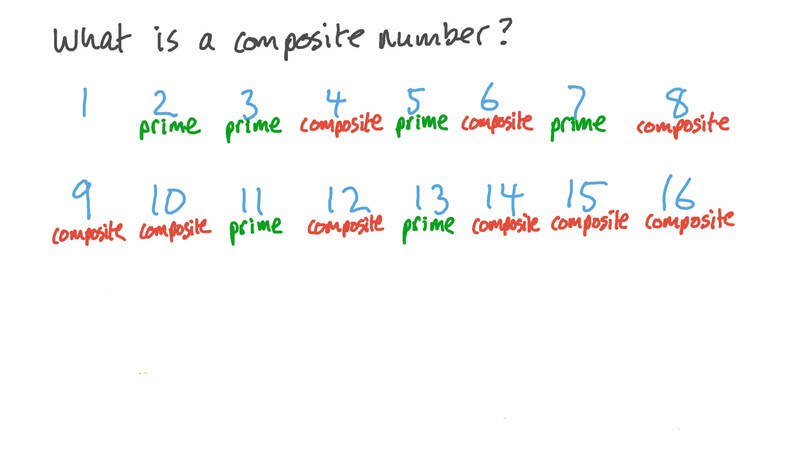 In this lesson, we will learn how to identify prime and composite numbers and how to differentiate between them. Is 21 a prime or a composite number? 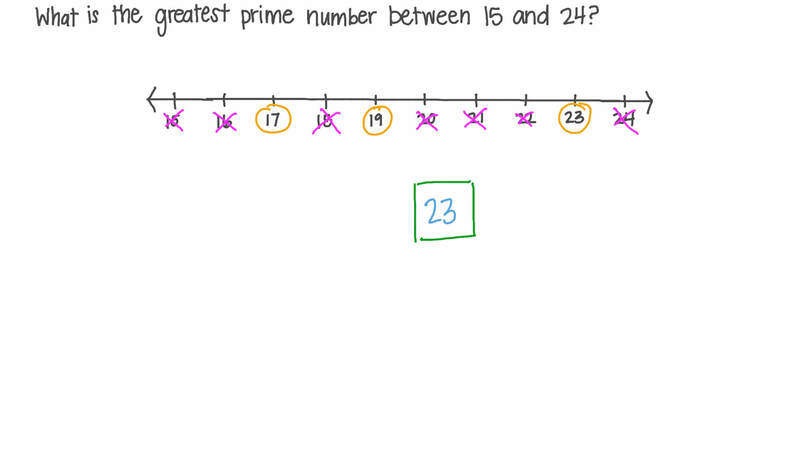 Is 23 a prime or a composite number? All prime numbers are odd except . Determine whether the number 226 is prime, composite, or neither. Fady is learning about prime numbers. He knows that 5 is a prime number, because the only factors of 5 are 1 and 5. Is 9 a prime number? Why? A Yes, because its only factors are 1 and 9. B No, because 3 is a factor. Maged says that 1 is a prime number because it only has 1 factor pair. A No, prime numbers have two factors, 1 only has one factor. BNo, prime numbers have more than two factors, 1 only has one factor. C Yes, 1 only has one factor. D Yes, because all odd numbers are prime. E No, because all odd numbers are prime. Mariam says that every even number is composite because 2 is a factor. A No, because 2 is even and prime. B No, because 2 is even and composite. C Yes, because 2 is an even number. D Yes, because 2 is even and composite. E Yes, because all odd numbers are prime. What is the greatest prime number between 15 and 24? The table shows all the factors of some numbers. Which of the numbers are prime? Caribou calves weigh about 13 pounds at birth. Is the number 13 a prime or a composite number? A teacher asked her class to colour all the prime numbers between 1 and 10. Here are some of their answers. Which one is correct? Nada bought these four raffle tickets, and one of them was the winning ticket. The winning number is a prime number between 10 and 20. Which of her tickets won the prize? Are the numbers 37, 97, and 75 prime numbers? Which of the following is not a prime number? Find a prime number between 37 and 46. How many of these numbers are prime? Which is the largest prime number? Which is the smallest composite number? State two prime numbers that are greater than 15 and less than 95. All odd numbers greater than 7 can be expressed as the sum of three prime numbers. Which three prime numbers have a sum of 97? Find the smallest prime number that is greater than 40.